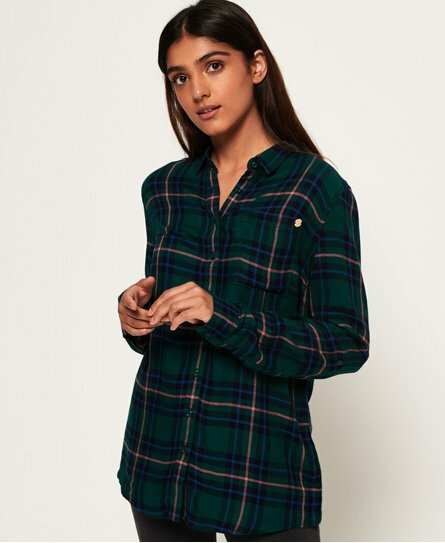 Superdry women’s Maya oversized shirt. This oversized, super-soft shirt features a front button fastening, a single chest pocket and adjustable turn-up cuffs. The Maya oversized shirt also features a curved hem and is finished with a subtle, metal Superdry logo badge on the pocket.